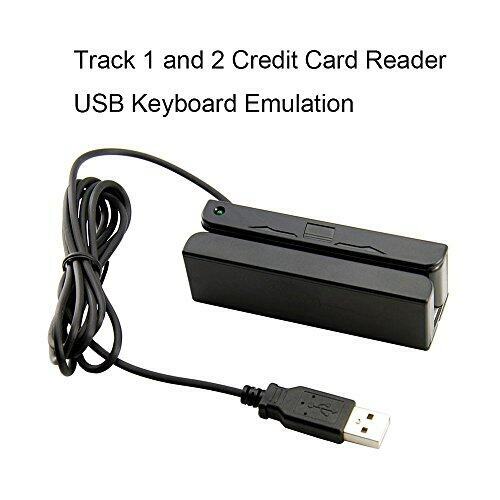 Read track-1&2 data only, cannot read track-3, magstripe swipe reader with hand swipe operated magstripe card reading machine with USB interface, adopting high integrated magnetic card decoding chip. 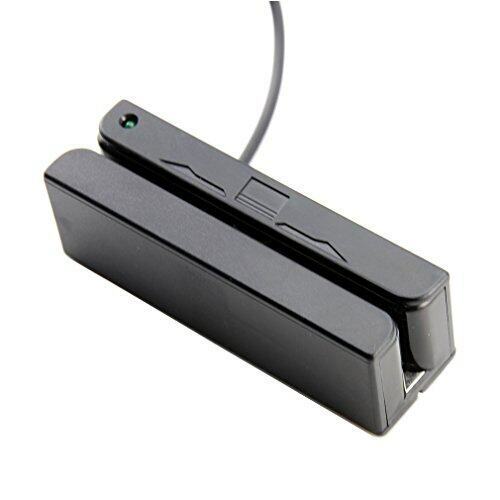 They have small electricity consumption and strong interference resistance. 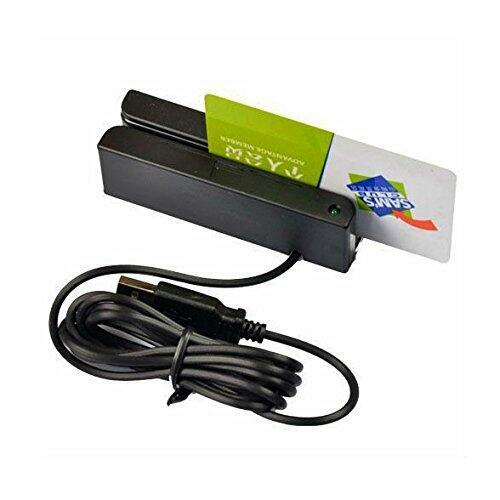 They comply with ISO-7811, 7812 magstripe card decoding standard completely. 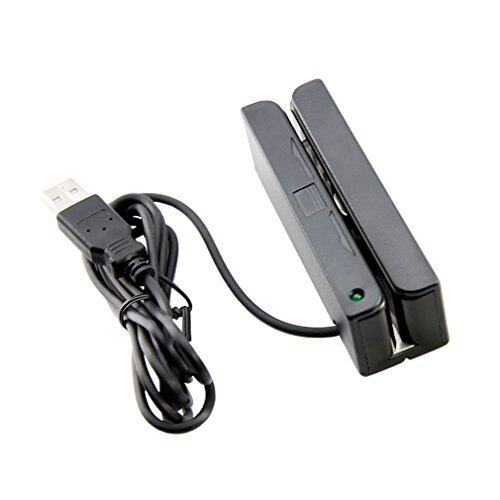 It can read card bi-directionally, has intelligent lights to alert if card data is read correctly. Exquisite magstripe installation structure makes card reading more stable and reliable, which is our patented technology. Reasonable product design makes products small and compact. 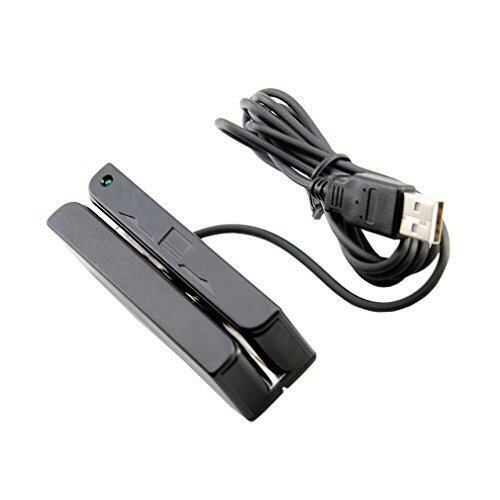 Perfect for laptops/notbooks, desktop computers, credit card proessing, point of sale (POS), access control, ID verification, time and attendance terminals, etc. 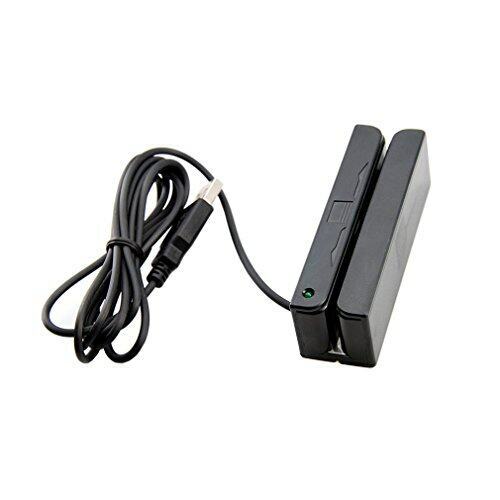 It's also a PROGRAMMABLE card reader, can be change the data output format easy via the configuration program! 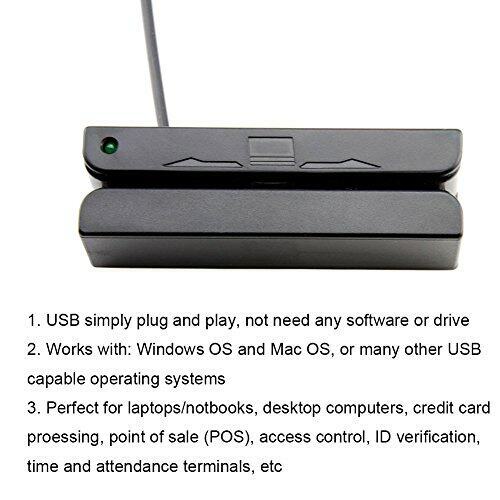 Please email us directly if you want to programming it.Please noted this is a usb reader not a wireless reader or data collector, it must works with pc and can't store the card data.